Jenolan Caves - they didn't grow overnight! 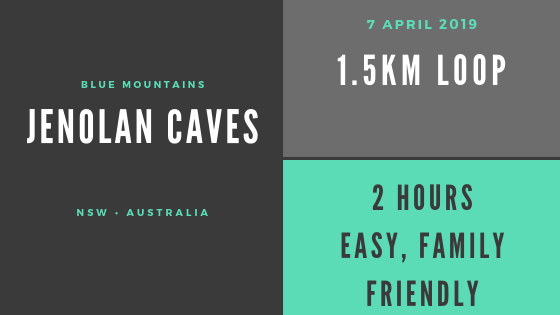 Since arriving in Australia I was advised time and again to make sure I visited the Jenolan Caves and, on Sunday, I finally made the trip. The drive out from Emu Plains is a lovely one, the highway winds up through the Blue Mountains passing through the small villages of Glenbrook, Blaxland, Warrimoo, Springwood and Faulconbridge before opening up to more rural landscapes. Every now and then you can peek views of the Blue Mountain carpet of trees, flanked by cliffbands, stretching off into the distance. After about an hour of highway driving, shortly after Mount Victoria, the road branches off onto the Jenolan Caves Road. I traveled through pastures and small woodlands, getting ever more scenic by the moment. It was a spectacular day; the sun was shining and there wasn't a cloud in the sky. Gradually, signs started to appear notifying me that the road ahead was unsuitable for articulated lorries or caravans. This is usually a sign of exciting times ahead! Within a couple of kilometres the road became narrow and windy, steeply turning down and eventually into a canyon! There are a number of spots where it's too narrow to get 2 vehicles through, with the volume of tour busses coming down there I can imagine it gets quite interesting and hair raising sometimes! You are welcomed to the caves by driving THROUGH a cave (awesome - photo right) and then up again through a quaint little cluster of shops, restaurants and ticket office, up to the parking lot. A crowd of people began to gather, and I was feeling steadily more and more uneasy about the whole guided aspect. There didn't seem to be any organisation, I'd been advised to be careful not to join the wrong group but no one really knew where to go. When the guides arrived they made the confusion worse! All 60+ people started following the one guide up the stairs before another one arrived and called up to reel in the people from her tour who had joined the wrong one! It wasn't until we arrived at the top of the stairs that the guide checked our tickets to make sure we were in the right place, and he didn't seem to care that much whether we had tickets or not. As a tour guide I was becoming less and less confident in the tour ahead. Fortunately the caves spoke for themselves. I understand that admittance to the caves needs to be guided as there are lots of paths and passages and it would be easy to get lost down there, but I actually think that it would have been a better experience to have interpretive boards and signage guiding the way, and allow people to experience the caves at their own pace. "Let's see what's up here... probably not much worth seeing", the guide kept saying as he shuffled the group of 25 from one cramped waiting bay to the next. 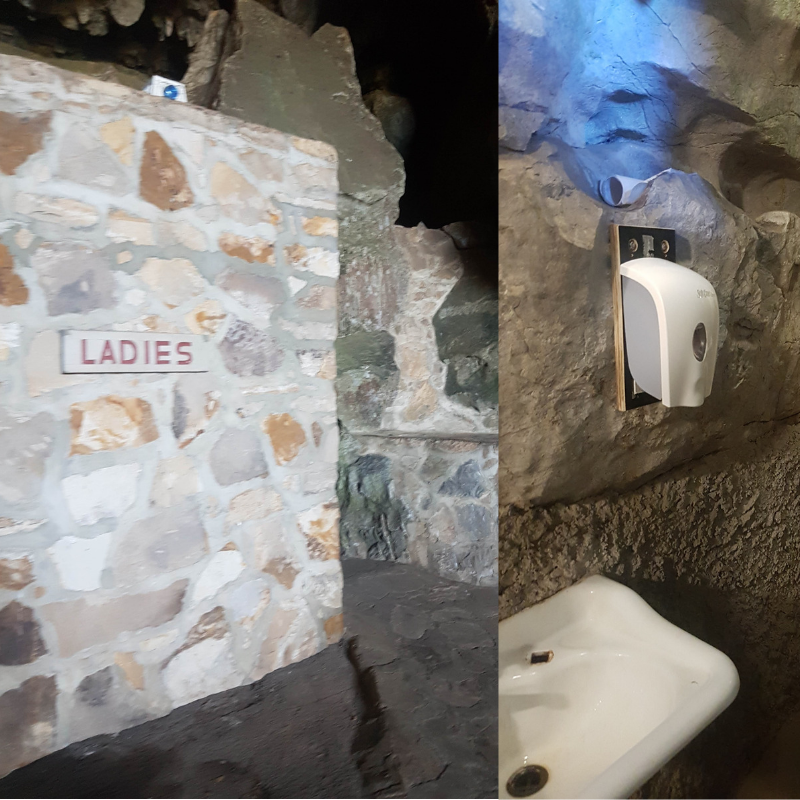 There was very limited information given about the caves... over the course of an hour and a half I learnt that they are very old, that the closer to the surface they are the older they are, and that the colours in the shawls are made by oxidised iron (rust) in the water. There was evidence of the early explorers equipment, ladders and carved steps and suchlike, but I wasn't able to ask about who found them and developed the passages. I felt if the group had been smaller I'd have enjoyed the experience more. I felt like I was being hustled from photo op to photo op, and doing lots of hanging around waiting for the group to catch up. If I had a chance to go back I might, the caves really are very impressive. But I'd be sure to book last minute and wait to see which tour had the fewest people on it!